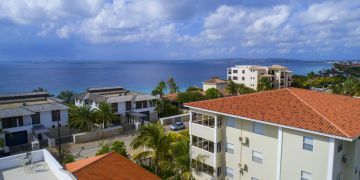 Looking for a great condo with nice cross breezes, views over the lush tropical garden & shared pool? Courtyard Village E-3 offers the best you can get. Furnished and turn key condo where you can reside or rent out, according to your personal preference. 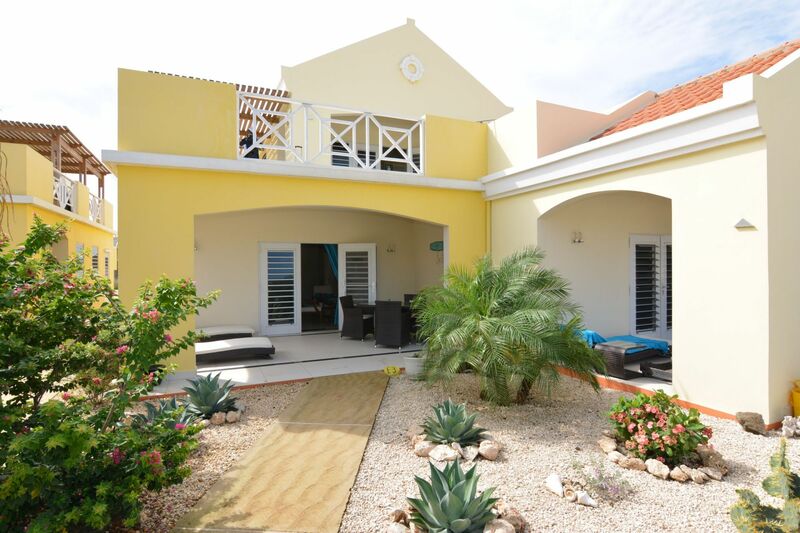 Located within the walled & secure Courtyard Village, you and your guests can enjoy Bonaire without any worries. 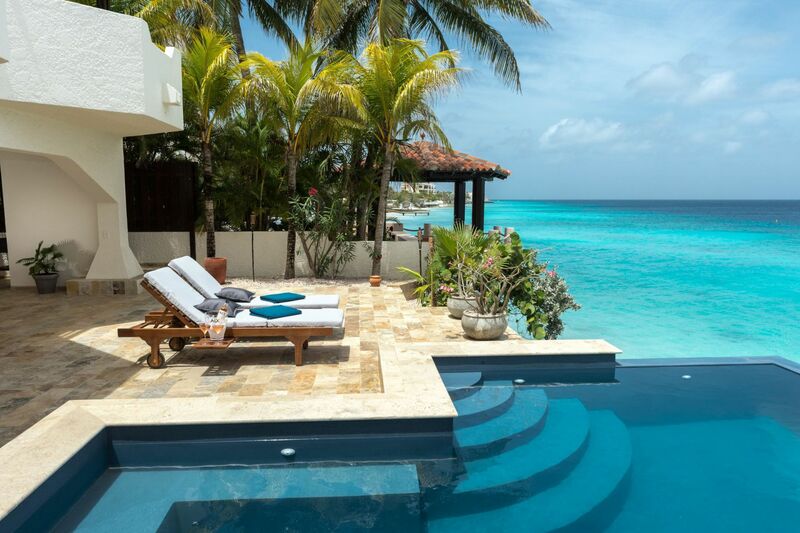 The shared pool has two sections, a spacious sun terrace and a shaded lounge area with chairs. What else can you wish for?? 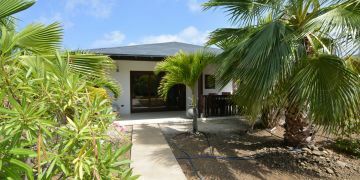 Location: within the gated Courtyard Village, 600 linear yards from the Caribbean Sea & less than 500 yards from town. Windows: aluminum window frames with glass panels and shutters/mosquito screens. Entrance using the wide covered, breezy porch into living room with open concept kitchen, hall with access to master bedroom (built-in closet) with ensuite bathroom, two bedrooms (built-in closets) and one bathroom. Laundry room and storage accessible from the outside. Ample parking available. Cable television, WiFi and phone connection. This condo is subject to a Home Owners Association (HOA). HOA fee: US$ 334.00 per month. (incl. insurance, maintenance and management fees). Please contact us in case you wish to receive further information about this HOA.